IBM Managed File Transfer (MFT) Solution, will let you integrate complex B2B/EDI processes with your partner communities. It provides a single, flexible B2B platform that supports most communication protocols, helps secure your B2B network and data and achieve high availability operations. It also help you to automate B2B processes across enterprises while providing governance and visibility over those processes. Web Extensions for Human interaction points into your business process models. IBM Managed file transfer addresses the need that organizations have to configure, track, and audit file transfer activity consistently. File transfer activity must be logged so that administrators can determine where each file is sent and when the transfer occurs. The transfer log needs to be centrally accessible. Each file transfer requests involve acceptance from an authorized person or an application system. Network errors that interrupt a transfer must not cause the transfer to be cast off or partial files to be received. File transfers must span multiple platforms. IBM Connect: Direct provides security-hardened, point-to-point file transfers to reduce the dependency on unreliable File Transfer Protocol (FTP) transfers. It is attuned for high-volume delivery of files among enterprises. The solution assures a more consistent movement of files, from batch integration and movement of large images or catalogs, to synchronization with remote locations. It is designed for multi-platform support. File Gateway enables companies to consolidate all internet-based file transfers on a single, scalable, secure and always-on edge gateway. The offering has the abilities necessary to monitor, administer, route and transform high volumes of inbound and outbound files. Enterprises deploying File Gateway are empowered to reduce the costs of managing file transfers, accelerate time to revenue and improve trading partner satisfaction. 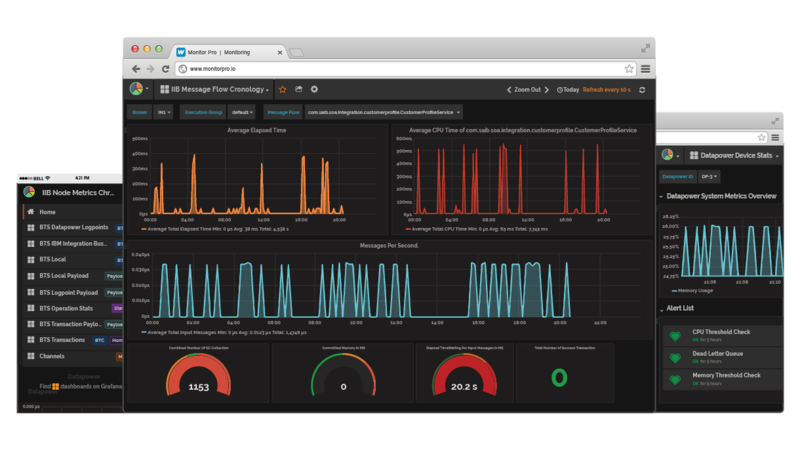 The latest version 6.0, introduces features for hybrid cloud deployment via containers, seamless integration with RESTful APIs and high availability via Global Mailbox. WebSphere MQ File Transfer Edition is a system that transfers files in a managed and auditable way, regardless of file size or operating systems used. Message transfers are monitored, logged, and tracked for auditing purposes. Users can see the progress of the transfer and see where failures arise during a transfer. This figure shows the layout of a simple WebSphere MQ File Transfer Edition setup and transfer. There are two agents. 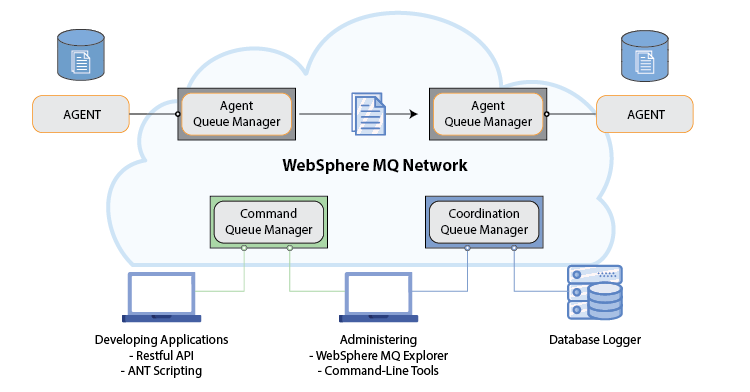 Each agent connects with its own agent queue manager in a WebSphere MQ network. A file is transferred from the agent through the WebSphere MQ network, to the agent. Also in the WebSphere MQ network you have the coordination queue manager and a command queue manager. 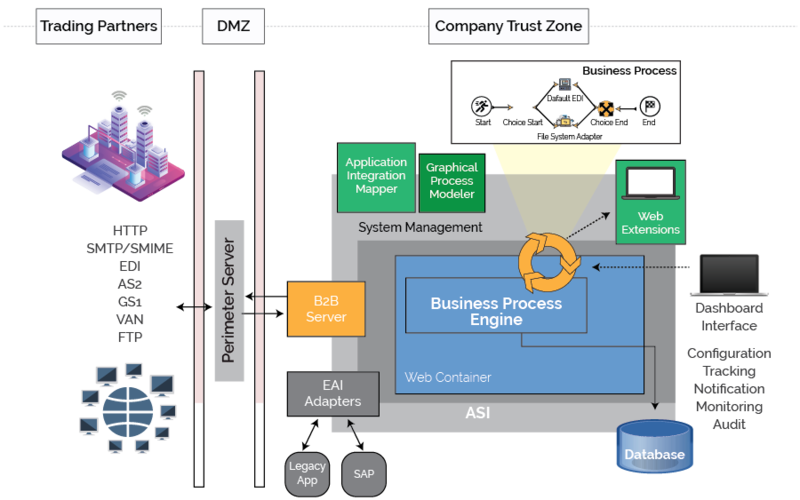 Applications and tools connect these queue managers to configure, administer, operate, and log WebSphere MQ File Transfer activity. View the current status of transfers in progress from WebSphere MQ Explorer on Windows or Linux platforms. Sterling B2B Integrator manages data transformation and translation of complex flat files that are in positional, fixed length, and variable-length delimited formats, supporting both standard and extended rules. It translates data according to the instructions provided in the form of translation maps, which is created and managed using the Map Editor tool. A translation map states how data in one format relates to data in another format. Talk to our Sterling Integration Experts! 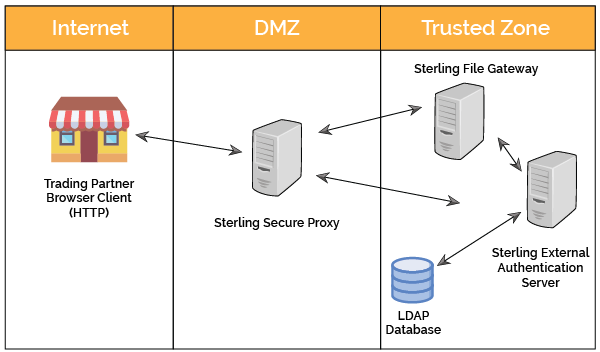 IBM Secure Proxy helps secure and shield your trusted network by preventing direct connectivity between external partners and internal servers. It can secure the network and data exchanges at the network edge to allow trusted business-to-business transactions and MFT file exchanges. 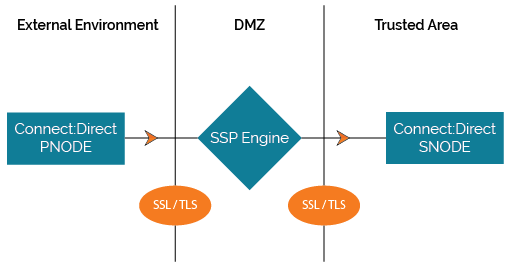 As a demilitarized zone (DMZ)-based proxy, multi-factor authentication is used for Secure Proxy, SSL session breaks, closing of inbound firewall holes, protocol inspection and other controls to ensure the security of your trusted zone.